Strength and Mobility Pack Savings. Healthy living isn’t just about avoiding disease and illness; it requires physical strength and mobility to fulfill your purpose and do the things you love. But strength, agility, and flexibility can fade away with age. Safeguard your health and freedom with the Mobility and Independence Pack. Learn how to safeguard your health and independence with the Mobility and Independence Pack. 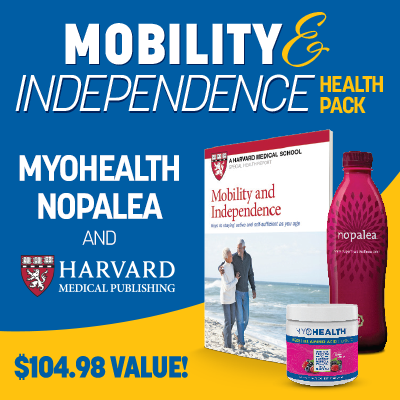 The pack includes Harvard Medical School's Mobility and Independence special report which will show you how strength and mobility rely on many body systems working together: your bones, muscles, and joints; your senses, brain, and balance system. This guide translates clinical and scientific knowledge about mobility into practical habits you can create to stay healthy and active. 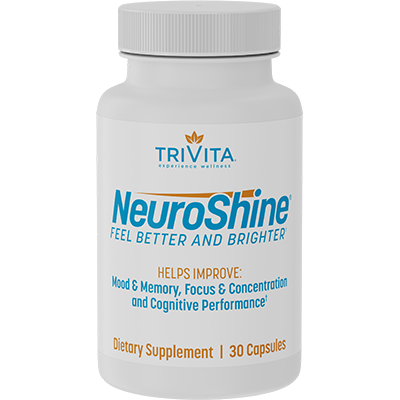 Support your health further with MyoHealth and Nopalea. 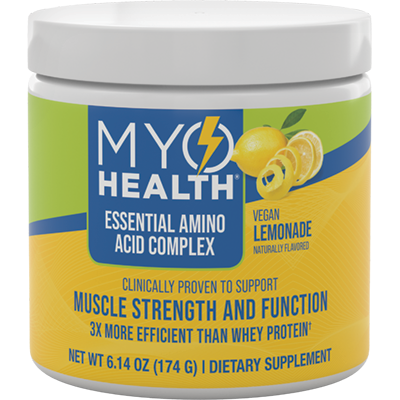 Provide your body with all nine essential amino acids needed to build strong and lean muscles with MyoHealth. Backed by 24 human clinical trials and decades of research, MyoHealth is proven to support many metabolic functions, healthy muscle growth, and recovery. 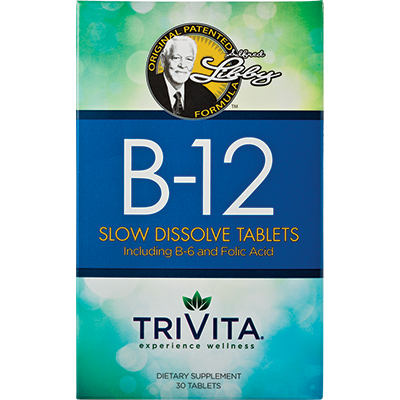 Plus, add Nopalea to your day to support healthy inflammation levels, detoxify your body, and promote cellular health.